Offshore finance companies can offer banking services to individuals and corporations around the world. They do not have limitations on the amount of clients, deposits or the currencies they can offer services. Basically they work in a similar way, regular full-licensed banks work. There no capital reserve requirements, nor nationality requirements for directors and shareholders. However, offshore finance companies cannot bear the word “ bank” in their name. Online Brokers: online platforms that facilitate forex transactions. By opening an account, the user can buy or sell via the platform. Usually these brokers offer good leverage. Offline Brokers: they work without online support. They are a few, due to the popularity the Internet has gained. Newsletter providers: they are of great value. 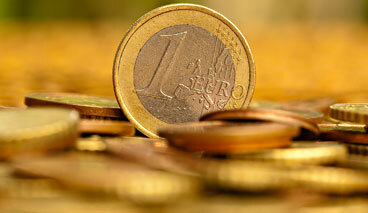 Giving useful information on the various nuances of the forex market and include updates. They also include experts opinions. Automated trading companies: considered the safest way to invest money, they offer programmed platforms which execute trade commands and stop losses, limit orders and trade updates automatically. Forex fund operators: working through the pool of funds from investors and investing from their behalf in the forex market. Bureau de change: they are the exchange platforms for currencies. They facilitate the exchange and earn through margins of buying and selling prices. Money transfer companies: they charge a commission for helping transfer the money from one place to another. Offshore banks can be set in a number of leading offshore jurisdictions that offer several advantages. Tax planning and asset protection are some of the many advantages an offshore bank license offers oppose to an onshore. Besides the offshore license allows providing onshore services to clients. There is also a wide variety of licenses, depending on the offshore financial center, and the type of clients and activities the bank is interested in performing. To avoid excessive regulations of banking activities from National or Central Banks of different countries. To keep their funds safe and follow up on the performance of the investment through the bank. To provide asset protection through the use of offshore bank accounts. Advisory account: the broker has limited decision making on his own. Discretionary account: the broker is free to make decisions as long as they agree with the clients stated investment goals. Brokerage companies come in different sizes, forms and offering different services. From a big firm located in major business centers, around the world; to a small office in the city. From bonds to finding suppliers for a hotel administrator.